Roosevelt Grier (born July 14, 1932) is an American actor, singer, Protestant minister, and former professional American football player. He was a notable college football player for The Pennsylvania State University who earned a retrospective place in the National Collegiate Athletic Association 100th anniversary list of 100 most influential student athletes. As a professional player, Grier was a member of the New York Giants and the original Fearsome Foursome of the Los Angeles Rams. He played in the Pro Bowl twice. After Grier's professional sports career, he worked as a bodyguard for Robert Kennedy during the 1968 presidential campaign and was guarding the senator's wife, Ethel Kennedy, during the Robert F. Kennedy assassination. Although unable to prevent that killing, Grier took control of the gun and subdued the shooter, Sirhan Sirhan. Grier hosted his own Los Angeles television show and made approximately 70 guest appearances on various shows during the 1960s and 1970s. In 1979 Grier appeared on season three, episode 14 of The Love Boat. As a singer, Grier first released singles on the A label in 1960, and over the following twenty-five years he continued to record on various labels including Liberty, Ric, MGM, and A&M. His recording of a tribute to Robert Kennedy, "People Make the World" (written by Bobby Womack), was his only chart single, peaking at No. 128 in 1968. Grier is known for his serious pursuit of hobbies not traditionally associated with men. He has authored several books, including Rosey Grier's Needlepoint for Men in 1973. Grier became an ordained Protestant minister in 1983 and travels as an inspirational speaker. He founded American Neighborhood Enterprises, a nonprofit organization that serves inner city youth. He was also a featured speaker at the 1984 Republican National Convention; during its evening session on August 20, 1984, he endorsed President Ronald Reagan for re-election. Born in Cuthbert, Georgia as one of twelve children, Grier was named after Franklin Delano Roosevelt. He played high school football at Abraham Clark High School in Roselle, New Jersey, graduating in 1951. After playing on the defensive line on the Penn State University football team, Grier was drafted as the 31st overall pick in the third round of the 1955 NFL Draft by the New York Giants. He played with the Giants from 1955 to 1962, during which he led the team to a NFL Championship in 1956 and the Eastern Conference Championship in 1958, 1959, 1961 and 1962. Grier was selected for the Pro Bowl in 1956 and 1960, and was named All-Pro at the defensive tackle position in 1956 and 1958–1962. Grier was then traded in July 1963 to the Los Angeles Rams in exchange for defensive tackle John LoVetere and a high future draft pick. He was part of the "Fearsome Foursome", along with Deacon Jones, Merlin Olsen, and Lamar Lundy, considered one of the best defensive lines in football history. His career ended in 1967 due to a torn Achilles tendon. Despite being the oldest member of the Fearsome Foursome, Grier is the last surviving member following the death of Deacon Jones on June 3, 2013. Sacks with Rams: 1963 (6), 1964 (6.5), 1965 (1.5), 1966 (7). 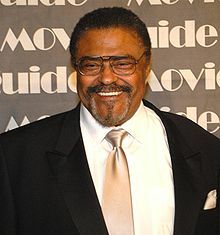 After his retirement, Grier hosted the Rosey Grier Show on KABC-TV, a weekly half-hour television show discussing community affairs in Los Angeles. Grier served as a bodyguard for his friend, United States senator and presidential candidate Robert F. Kennedy. He was guarding Ethel Kennedy, the Senator's wife, who was then expecting a child, the night that Kennedy was assassinated in Los Angeles in 1968. Grier and Olympic decathlon gold medalist Rafer Johnson heard shots fired ahead of them. As Grier caught up he saw men wrestling with gunman Sirhan Sirhan. Grier jumped into the fray. Grier states, "So I see George Plimpton has the gun pointed at his face, and I'm concerned that it is going to go off, so I put my hand under the trigger housing and I pulled back the hammer so it couldn't strike. I wrench the gun from Sirhan. I find the pin and I ripped it out and held it. Now I have the gun in my hand, so I shove it in my pocket." Grier later said, "I grabbed the man's legs and dragged him onto a table. There was a guy angrily twisting the killer's legs and other angry faces coming towards him, as though they were going to tear him to pieces. I fought them off. I would not allow more violence." In December 1968, he accompanied Bob Hope on "Operation Holly," Hope's 1968 USO tour, Grier performed alongside headliner Ann-Margret and others at the U.S. bases at Long Bình, Cam Ranh Bay, Da Nang, Chu Lai, and Phù Cát, as well as aboard the carrier USS Hancock and the battleship USS New Jersey, and at Korat Royal Thai Air Force Base and U-Tapao Royal Thai Navy Airfield in Thailand, along with stops in South Korea and Guam. Grier and comedian Don Rickles in a Kraft Music Hall skit, 1968. Grier has appeared in a number of films and television shows. One of the first football stars to successfully make the transition to acting, he made about 70 television guest appearances. They include a role as one of the security contingent in "The Brain Killer Affair" episode of The Man from U.N.C.L.E. (1964), as well as a cameo playing an athletic trainer in an episode of I Dream of Jeannie. He became a regular cast member, starting in 1969, on the series Daniel Boone, Make Room for Granddaddy, and The White Shadow. In one White Shadow appearance, he donned his No. 76 Los Angeles Rams jersey from his NFL playing days. Grier sang the song "It's All Right to Cry" for the children's album and TV program Free to Be… You and Me. Grier appeared on the television game show Match Game 74 as a panelist. Grier starred in television shows and films including The Wild, Wild West (1967), Desperate Mission (1969), Carter's Army (1970), Skyjacked (1972), The Thing with Two Heads (1972), McMillan & Wife (1974), The Treasure of Jamaica Reef (1975), Movin' On (1975-1976), CHiPs (1977), The Glove (1979), Roots: The Next Generations (1979) and The Seekers (1979). Grier appeared in the 1974–1976 NBC TV series Movin' On with Claude Akins; it was filmed in Grier's home state of Georgia. Greer appeared in a third-season episode of Quincy, M.E. called "Crib Job" in which he played himself as the director of a group called Giant Step. He appeared in two episodes of Kojak, one in the third season and one in the fourth season, as a bounty hunter called Salathiel Harms. He also appeared on an episode of CHiPs during its first season in 1977. He played a distraught motorist who, during a routine traffic stop, proceeds to destroy his car in frustration by pulling it apart piece by piece. He appeared as a celebrity contestant on Celebrity Bullseye during that program's 1981-82 season. Grier also guest-voiced a 1999 episode of The Simpsons titled "Sunday, Cruddy Sunday". Grier has also written a number of books, and now travels the United States as an inspirational speaker. He is a cofounder of American Neighborhood Enterprises, an organization that works to help disadvantaged city dwellers buy homes and receive vocational training. Grier was ordained a Protestant minister in 1983, and the next year he founded his nonprofit resource center for inner-city teens, developing spiritual and educational programs for disadvantaged youths. Grier is a prominent member of Alpha Phi Alpha fraternity. He is also on the Milken Family Foundation board of trustees and serves as its program administrator of community affairs. He has been honored by Penn State as recipient of the Distinguished Alumni Award in 1974, and the Alumni Fellow Award in 1991. He was named to the NCAA's "List of the 100 Most Influential Student-Athletes" published to commemorate the NCAA's 100th anniversary. In 1997, he was inducted into the New Jersey Sports Hall of Fame. In 2017, he was inducted into the New Jersey Hall of Fame. On January 5, 2017, Grier announced his intention to run for Governor of California as a Republican in the California gubernatorial election, 2018. He ended his candidacy in July 2017. Grier was well known in the 1970s for his hobbies of needlepoint and macrame. Grier has a daughter from a previous relationship named Sherryl Brown-Tubbs. He later married Bernice Lewis, who had one child, Denise, whom he adopted before he and Lewis divorced. He then married Margie Grier and had a son, Roosevelt Kennedy Grier, in 1972. He and Margie divorced in 1978 and remarried in 1980. Margie Grier died on June 10, 2011. He married Wichita school teacher Cydnee Seyler on April 30, 2013. A nephew, Mike "Big Daddy" Grier, followed his uncle's career in sports when he enrolled as a student at Boston University, but he played ice hockey instead of football. Grier released his autobiography Rosey: The Gentle Giant in 1986. ^ "Evening Session, Day 1 1984 Republican National Convention". C-SPAN. Retrieved January 7, 2016. ^ McClellan, April D. (January 2, 1994). "Tackling trouble in the inner city Former NFL lineman Rosey Grier shifts his social work to Kansas City". The Kansas City Star. p. I1. Retrieved August 25, 2018. ^ Hughes, Will (December 19, 2007). "Gentle Giant". New Jersey Monthly. Retrieved July 31, 2008. Rosey never forgot his roots, often returning to his home town to run track with a local track hero named Bruce "Red Beard". ^ "Rosey Grier Statistics". Sports Reference, Inc. Retrieved March 17, 2008. ^ Wallace, William (July 9, 1963). "Giants Trade Grier for Ram Tackle and High Draft Choice". The New York Times. p. 35. Retrieved August 25, 2018. ^ a b Gifford, Frank; Peter Richmond (2008). The Glory Game: How the 1958 NFL Championship Changed Football Forever. New York City: Harper Collins. pp. 254–255. ISBN 978-0-06-171659-1. ^ Ayto, John; Ian Crofton (2006). Brewer's Dictionary of Modern Phrase & Fable (2nd ed.). Weidenfeld & Nicolson. p. 260. ISBN 978-0304368099. ^ "NFL Hall of Fame defensive end Deacon Jones dead at 74". Fox News. Associated Press. June 4, 2013. Retrieved August 25, 2018. ^ Moritz, Charles (1975). Current Biography Yearbook: 1975. New York City: H. W. Wilson Company. p. 178. ^ Pilkington, Ed (January 13, 2007). "The night Bobby died". The Guardian. London. Retrieved January 7, 2007. ^ a b Anderer, Xande (2014). "Rosey Grier: Playing for Nickels". The VVA Veteran (November/December 2014): 28. Retrieved February 2, 2015. ^ "Season 6 Episodes (1969-70)". Daniel Boone TV. Retrieved August 25, 2018. ^ Cagle, Kate (December 17, 2016). "Local football legend declares run for governor". Santa Monica Daily Press. Retrieved August 25, 2018. ^ Tanner, Beccy (October 27, 2013). "Football great Rosey Grier marries Wichita schoolteacher". Wichita Eagle. Archived from the original on November 12, 2013. ^ Porter, David L. (1987). Biographical Dictionary of American Sports. Westport, Connecticut: Greenwood Press. p. 225. ISBN 978-0313311758. ^ Grier, Rosey; Debbie Baker (1986). Rosey an Autobiography: The Gentle Giant. Honor Books. ISBN 978-0892744060. ^ "Ebony Bookshelf". Ebony. May 1993. p. 142. Retrieved August 25, 2018. Wikimedia Commons has media related to Roosevelt Grier.